Once coated Polystyrene Foam Patterns are dried they are transported to the firing furnace where the polystyrene is burnt out before pouring. Using a firing furnace with a substantial afterburner makes foamcast - lost foam casting process a very clean process with no emissions. 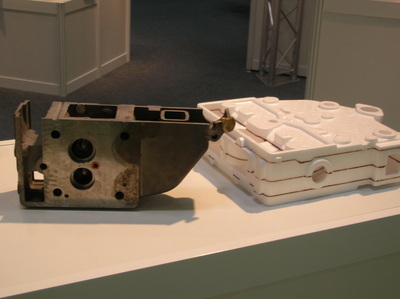 Up to 15kg of polystyrene patterns can be fired in each batch. Given that each kilogram of polystyrene is replaced by roughly 160-200 kgs. of metal, a full furnace of molds is equivalent to 2.4-3.0 tonnes of poured steel. Can be used for precision castings of ferrous and non-ferrous metals of any size. Fewer steps are involved in foamcast - lost foam casting process as compared to sand casting. Binders or other additives and related mixing processes are eliminated. High dimensional accuracy can be achieved and thin sections can be cast (i.e. 3 mm). There is lower capital investment. The flasks used are less expensive and easier to use because they are in one piece. The need for skilled labor is reduced. 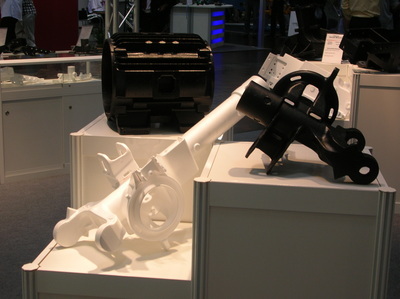 Multiple castings can be combined in one mold to increase pouring efficiency. Lower operating costs can be achieved for appropriate castings. 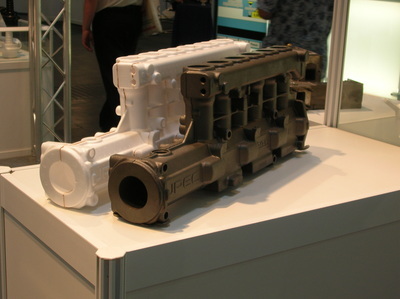 Complex castings, particularly internal sections, which require high dimensional accuracy and have thin sections, can be produced very cost effectively in comparison with to conventional sand molding processes. Fettling and machining is minimized due to high dimensional accuracy and the absence of parting lines or core fins. The shakeout process is simplified and does not require the heavy machinery required for bonded sand systems. High levels of sand reuse are possible. As little as 1-2% of the sand is lost as a result of spills. Periodically a portion of sand may need to be removed or reclaimed to avoid the build-up of styrene.